If you're looking for a music player with a lot of features, this is not the one for you. Also, please note, this application is a work in progress. It is rough around the edges and there are bound to be many bugs I am not aware of. 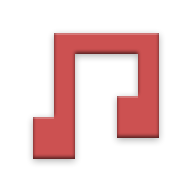 It already does 99% of what I want in a music player and I have been starting to lose the motivation to keep working on it so I thought I would just release what I have done. - Gapless playback. The other "1%" of what I want in a music player. - Interface overhaul. The current layout was intended as a placeholder. - Widgets with playback control for the lock screen/home screen/notification.